It’s not just tourists coming to Phuket in record numbers each year, so are university admission officers. 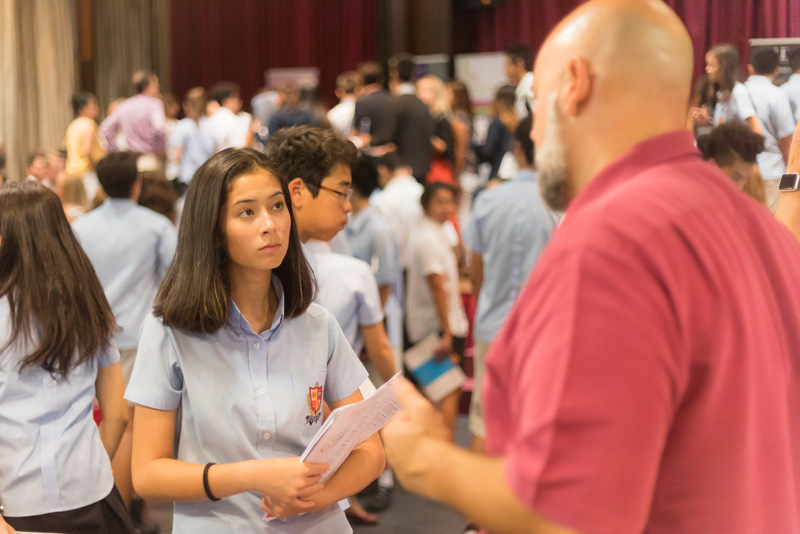 In this academic year British International School, Phuket has welcomed admission officers from over 150 institutions from 18 different countries. This is the highest number of admission officers to come to BISP in the history of the school. 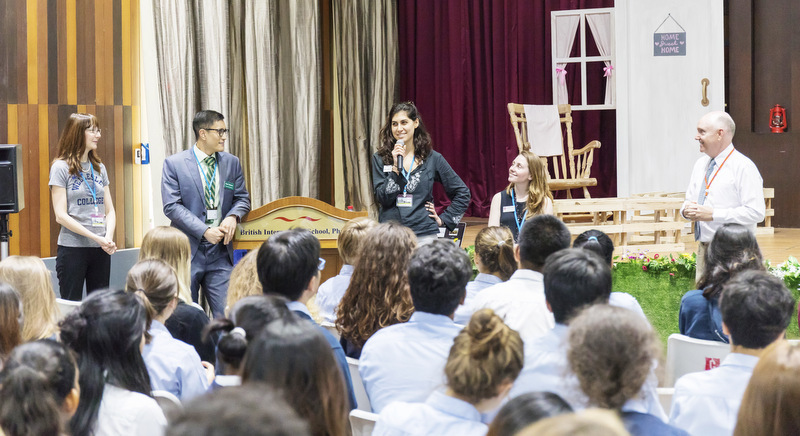 Admissions officers from leading US universities Harvard, Stanford, Wellesley and Dartmouth speaking BISP senior students during a university admission information session at the school on April 5. In addition to BISP, many of these representatives also hosted sessions at United World College Thailand (UWCT) and other international schools on the island. Phuket has been discovered by universities. Students living in Phuket are fortunate to have so many opportunities to meet with admission representatives. On April 5, admission officers from Harvard University, Stanford University, Dartmouth College and Wellesley College were at BISP, and spoke to students in Years 10, 11 and 12. This is the first time that representatives from Harvard and Stanford, which are both top-ranked universities, have come to the island. 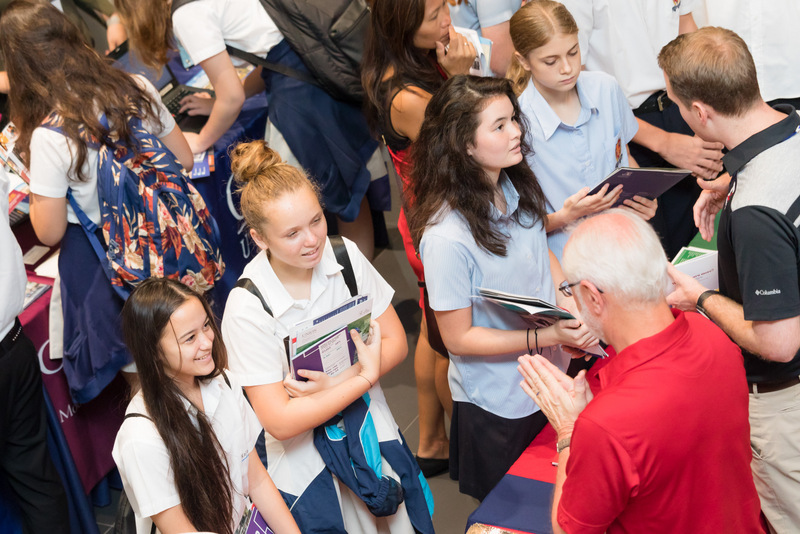 Not only did students hear about these world-class US universities, but younger students were also able to learn what they needed to do now in order to increase their chances of being admitted to a highly selective university later. Why do universities, some of which are already rejecting up to 95% of applications, travel around the world to meet with students? They do it to educate students and counsellors about their institution, selective admissions process and college admissions procedures in general. The university admissions process can be overwhelming and confusing, especially for students applying to the US and these visits help to demystify it. Universities also travel so they can encourage a diverse and talented group of students to apply. Less well-known colleges and universities come to Phuket partly to increase their name recognition. Selective universities travel to encourage a future Nobel prize winner to consider their institution. While international schools like BISP have a robust university counselling program with experienced counsellors, students at other schools may not have access to a knowledgeable counsellor. Visits by admission officers can help bridge this gap. When meeting a university representative, students should use them – pick their brains, ask the tough questions. Admission officers are sincere when they say they want to help students navigate the admissions process. While they will happily tell you about their institution, they will also answer questions about admissions in general. Phuket students are fortunate to have opportunities to meet with admission officers. The 2017 September Phuket University Fair, which was hosted by BISP, welcomed over 100 colleges and universities and was open to the wider Phuket community. The 2018 Phuket University Fair, which will once again be hosted by BISP, has been confirmed for Monday, September 24 and will again be open to the Phuket community. It promises to provide more opportunities for students in Phuket to learn about higher education options.